Browse through this blog to look for particular items of interest. Provide as many details such as dates, titles and key words for better results. Rwandalust. A term coined by my university group from Australia to describe the beauty of this country and the blissful happiness we felt travelling around its rolling hills. It is impossible to reconcile the serenity of Rwanda today with the testimonies I have heard, memorial sites I have seen and knowledge I have accumulated relating to Rwanda’s recent history. 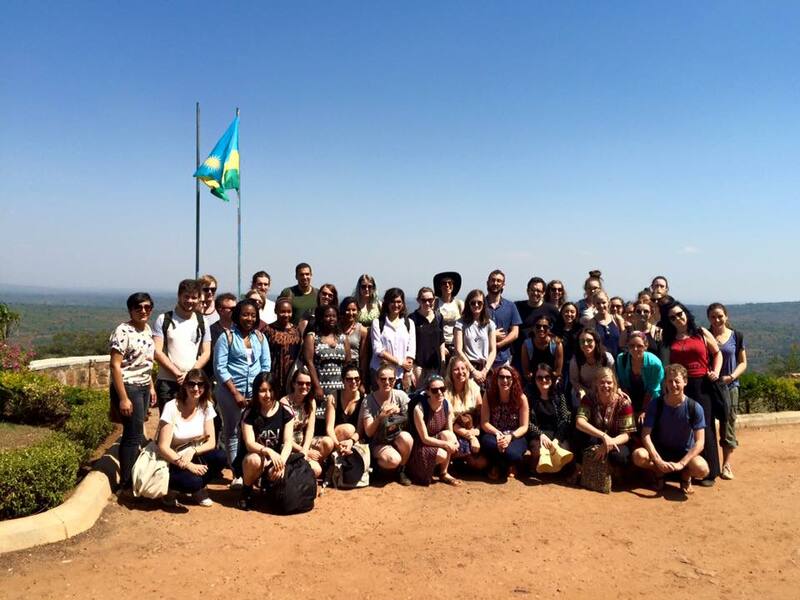 A group of Monash University student visiting Rwanda on a study tour. Despite this challenge for the imagination, my Monash University group travelled to Rwanda on a study tour called Seeking Justice attempting to do just this: reconcile the irreconcilable. With the objective of gaining a greater understanding of post- genocide society, the tour gives students a unique and invaluable experience by travelling to the memorials and learning on- site. A most informative and well-curated source of Rwandan history is the Kigali Genocide Memorial. As both a museum and memorial, the KGM caters to both local and international audiences. It documents the genocide chronologically combining all forms of media, and also offers a broad overview of international genocides such as Namibia (herero people), the Holocaust and Cambodia. Particularly moving for myself was the children’s memorial upstairs. My throat constricted with tears as I passed by the images and descriptions of child victims. Furthermore, the mass graves of 259, 000 buried at the memorial leave a lasting impact. The KGM was developed by Aegis in collaboration with the government of Rwanda, the Kigali City, survivor’s organisations and other groups. Today Aegis Trust runs the KGM on behalf on the government of Rwanda and works closely with the National Commission for the Fight Against Genocide (CNLG) to keep the site evolving. With the overall mission of preventing crimes against humanity, Aegis honours the victims and has a large focus on post- genocide peacebuilding and reconciliation. 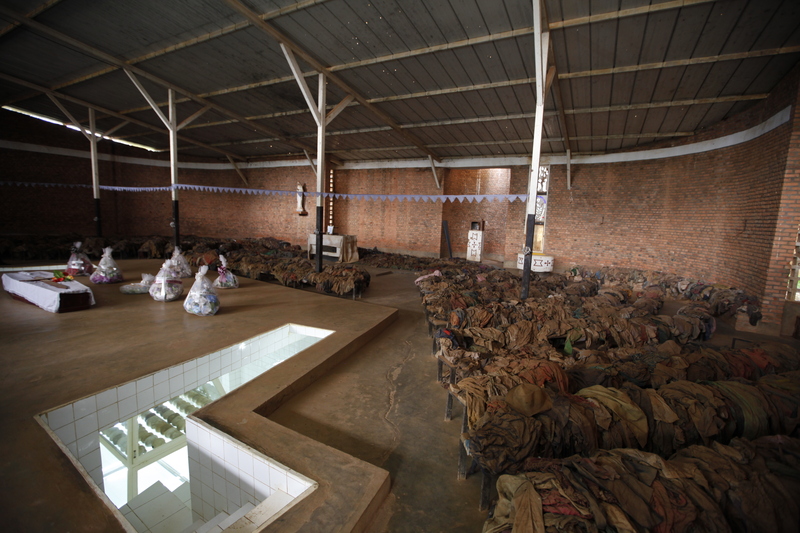 This involves assisting survivors and educating the community to ensure that memories are preserved and genocide does not ravage Rwanda ever again. Aegis also works through a number of social enterprises and outreach programs: a Museum Café, the Discover Rwanda youth hostel and a gift shop. I am fortunate enough to be interning for one month with Aegis, specifically in the archive department. The ever-expanding database of content is astounding, as the team have managed to collect over 8000 materials ranging from photographs, newspaper articles, footage, TV broadcasts from the time, to testimonies from people who experienced the genocide from all angles (survivors, rescuers, perpetrators and elders). The recent re-launch of the archives website has made these materials accessible and is a way of digitally preserving memory. My time in Rwanda and through working with Aegis Trust has shown me both the beauty and the sorrow. On the one hand, Kigali is a hive of activity, freshly brewed coffee and expressions of art. I have mastered the moto- taxi and I love receiving friendly grins and high-fives from kids as I walk to work. 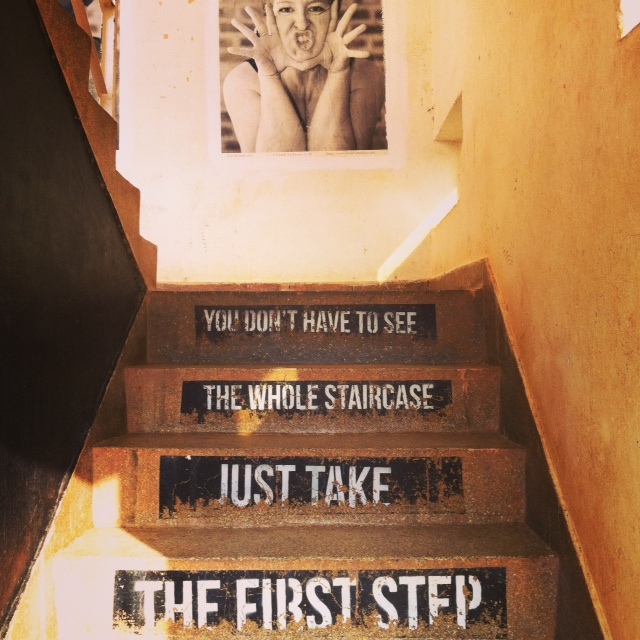 I am struck by the vibrant colour and sound of the city, yet underlying this is my moment of reflection when I pause at my morning inspiration found in chipped paint on a stairwell: You don’t have to see the whole staircase just take the first step. One may chuckle at me for psychoanalysing, but I believe this philosophy can be applied to the post- trauma healing process. The devastating consequences of genocide are far-reaching and recovery is complex. The nature of trauma is such like a scar that will never fade; yet the pain does subside with time, as do the physical remnants of genocide decay. Taking one step at a time towards peace education, equality and reconciliation is what Aegis and other organisations strive to achieve. My experiences here thus far have been incredible and thought provoking, and I find myself overwhelmed by a sense of Rwandalust. A social justice and human right activist. currently pursuing a law degree at Monash University, Australia.